Make-up trends come and go but it seems this latest one has more staying power than most. 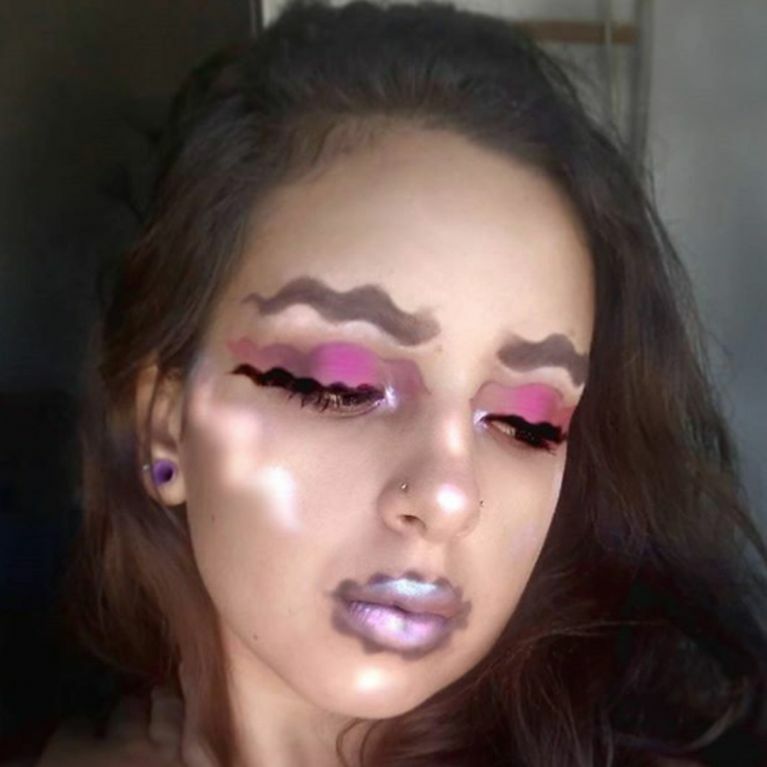 August 2017 will forever be remembered as the month of squiggle make-up thanks to the bizarre creation of wavy lips and brows but one ambitious beauty Instagram star has taken the trippy trend next level and it's equally freaky as it is mesmerising. One squiggle-y facial feature apparently isn't enough any more with wavy brows and lips being dethroned by a full face of deliberately zig-zagged make-up thanks to Jihane El Yamri of YouTube channel and Instagram profile Jihart. The beauty influencer felt so inspired by the wave of wavy lips and brows that's crashed onto Instagram feeds everywhere recently, she decided to crank it up and the result is... well, just see for yourself. Actually, I've seen this trend so long ago on @melovemealot profile and i loved it." She's had a mixed reaction with many users praising her artistic efforts while others used slammed the beauty vlogger. One wrote: " while another posted: "Nailed it 😍👌🏼," while another posted: "Looks like u have chocolate around ur lips, u should not done it (sic)." Jihane's not alone in her creative efforts with Leesha of xsparkage trying full squiggle make-up out on her own face. She also appears to have skewed her hair for extra effect - a Photoshop job rather than crimpers we assume.